Infuse your look with a bold shot of color. 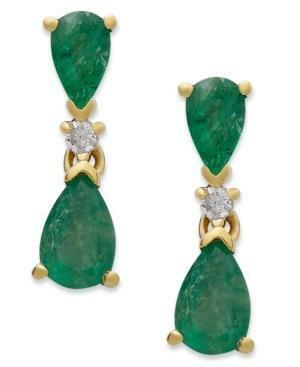 These elegant earrings captivate with pear-cut emeralds (1-5/8 ct. t.w.) and diamond accents. Set in 14k gold. Approximate drop: 1 inch.